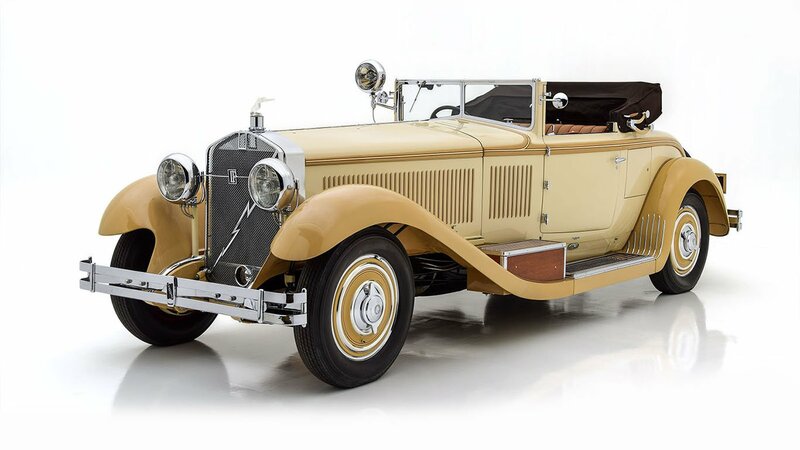 Chassis number S 267 FP is one of fewer than five known Phantom 1 chassis to wear this stylish Hibbard and Darrin coachwork. 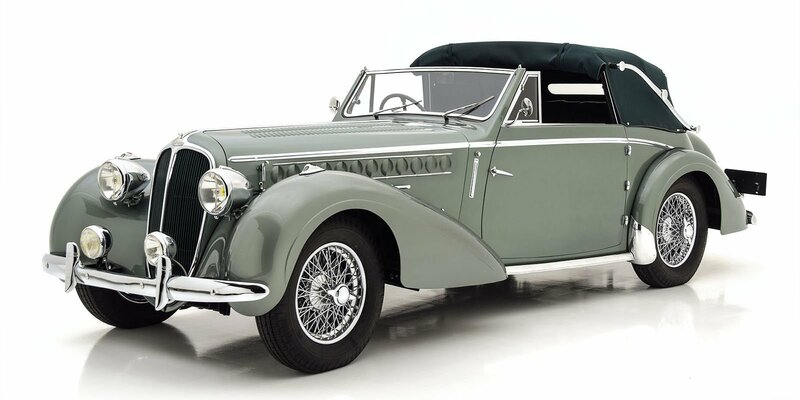 Subtle differences distinguish them, and this car is considered the sister to a similar example once owned by Marlene Dietrich, gifted to her by Paramount Studios and featured in her 1930 film Morocco. This car shares the same split, opening windshield design with the Dietrich car, as well as the distinct roof treatment. 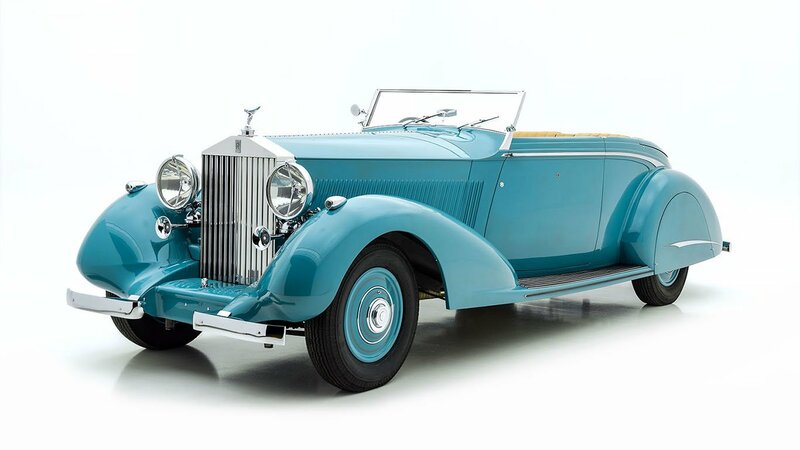 The ownership history of S 267 FP is well-documented through accompanying Rolls-Royce Owner’s Club records. Sold new in 1928 to A.H. Chapin, it changed hands less than a year later to Bud A. Lipman of New York, New York. Subsequent owners include Clifton Carr and Franklin Lee. In approximately 1945, Mr. Lee sold it for $200 to Hans Hinrichs of St. Louis, MO. 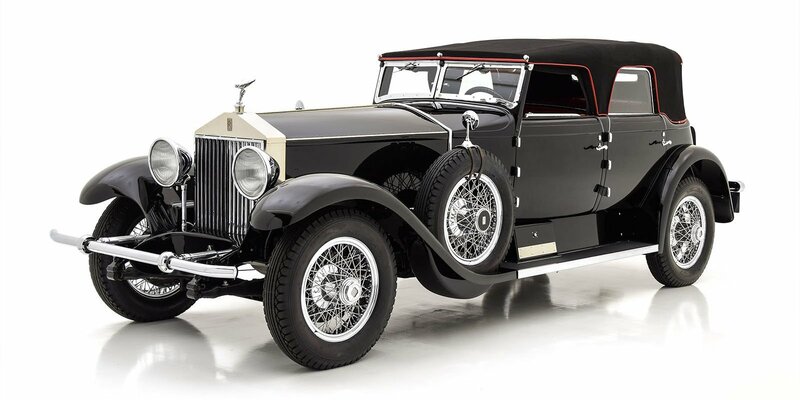 Mr. Hinrichs became the first long-term owner, enjoying the beautiful Rolls-Royce with his family for many years. 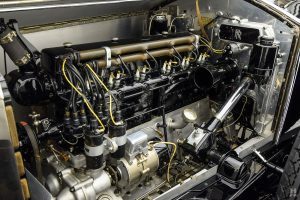 He displayed it at the National Museum of Transportation in St. Louis, which he co-founded. Toward the end of nearly 40 years in the Hinrichs family, it fell into a state of disrepair and required restoration. It then passed to another St. Louis collector and restorer, David Weber in 1982. Both Weber and Mr. Hinrichs’ son still remember the car fondly from its days in St. Louis. 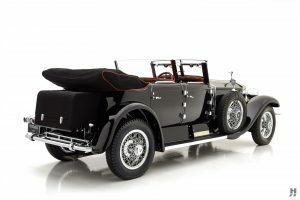 It then joined the famed collection at the Imperial Palace in Las Vegas, who commissioned a ground-up, nut and bolt restoration which it wears proudly today. 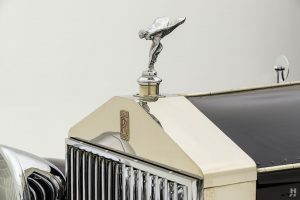 Since the late 1990s, it has been lovingly maintained in a significant collection of Rolls-Royce and Bentley motorcars. Finished in the striking livery of black over red hides and accented with a red-piped black top, this is a stunning example of Hibbard and Darrin’s talent. The beautiful restoration has aged exceptionally well, with exquisite paintwork, high-quality plating and beautiful detailing. The interior is trimmed in the finest materials and opulently appointed in the tradition of the great European coachbuilders. Gorgeous red leather shows a bit of character from occasional use, while the carpets and door panels remain in excellent order. 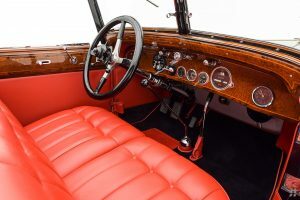 Stunning inlaid woodwork features on the door caps, dash, and division panel. 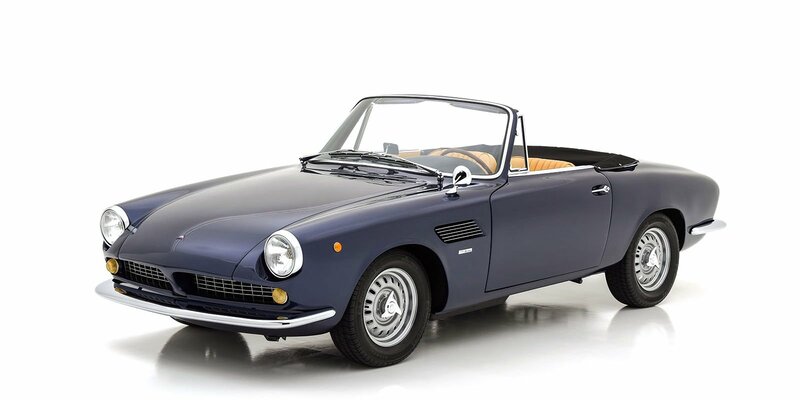 Details include a Swiza clock for the rear compartment and restored instruments and switches in the fascia. The doors have roll-up glass windows to make for a cozy, weather tight driving compartment with the canvas roof in place.